In the fateful summer of 1945, Japanese engineer Tsutomu Yamaguchi went through two huge tragedies that killed hundreds of thousands of people. US bombs on Hiroshima and Nagasaki have had devastating effects, causing Japan to capitulate in the Second World War. Although he was in both cities during the bombing, as protected by a guardian angel, Tsutomu Yamaguchi was lucky to survive the two horrors. On August 6, 1945, Naval Engineer Tsutomu Yamaguchi worked in the Japanese city of Hiroshima. While the war devastated the Pacific, he had managed to keep his job, designing ships and oil vessels for his country. When she was just finishing a three-month project and getting ready to go home to see her wife and daughter, the man noticed a plane flying over the city. At some point, something fell out of the plane. This time, however, it was not an ordinary bomb, just like the others that had been thrown by the Allies on Hiroshima. It was an atomic bomb parachuted from the plane. Feeling the danger, Yamaguchi jumped into a ditch nearby. In a few seconds, the bomb exploded in the sky. The plane that launched the bomb, called Enola Gay, had targeted the city just 3 kilometers from where the man was. The shock wave struck him and twirled Tstutomu Yamaguchi through the air. A few seconds later, the man landed on a nearby potato field. When he opened his eyes, he could not see anything - the world was entirely black. The explosion did not blind him, but the sun was covered with a huge cloud of dust. When the dust subsided, the man saw a huge mushroom cloud leaning over the city. Tsutomu Yamaguchi would later learn that the explosion killed 80,000 people on the spot. Shattered, the man headed for an anti-aircraft shelter. On the way, he was witness to the horrors produced by the Hiroshima bomb. At least 70% of the city's buildings had been destroyed. Some people were actually sprayed by the explosion, others were burned or mutilated. The cadavers squeezed the city, and the view was an apocalyptic. Then Tsutomu Yamaguchi found out that the train station was still standing and that people rushed to her, hoping to escape the city. Still hurt, the man crossed the city full of broken buildings, fires and corpses. At one point, he later told, he had to swim to cross the river full of burnt bodies. Eventually, Tsutomu Yamaguchi arrived at the train and traveled all night to his hometown, Nagasaki. He did not know that the decision to return home would make him the witness of the second atomic bombing on Japan. When he arrived home, his wife and daughter did not recognize him because he had a burning body. His wife knew he had been in Hiroshima, and he even thought that the bandaged look might be a ghost. After receiving medical care, Yamaguchi Tsutom crashed into bed and fell asleep. The next morning, the man went to work, just like any other day. He told his superiors what happened at Hiroshima, but they could not believe that a single bomb could cause such devastation. During this meeting, the sky ignited again. It was August 9, and the Allies had just launched the second atomic bomb, this time on Nagasaki. But Tsutomu Yamaguchi was again lucky. Although the building in which it was destroyed, the man survived. With the bandages pulled from the wounds taken to Hiroshima, the engineer started in a soul toward the house to see if his family had escaped. Fortunately, his family members had been as fortunate as he. As in Hiroshima, the Nagasaki bombardment left between 30,000 and 80,000 dead, many people dying shortly after the explosion because of burns. Of those who escaped the initial explosion and fires, many would die later because of exposure to radiation. 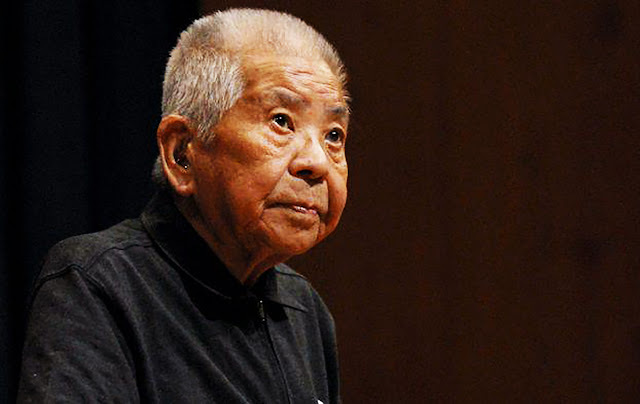 Tsutomu Yamaguchi is the only known double survivor of the 1945 atomic bombing. But, according to reports, about 165 people, whose identity is unknown, have gone through the experience of both atomic bombs. Although he suffered from radiation, Tsutomu Yamaguchi survived until 2010, becoming a vehement supporter of nuclear disarmament.